Bennance is a beautiful Muse theme for they who love flat and minimal design. Is a one page template with beautiful effects like parallax. Very easy editable, with layered muse file. Perfect for they who don’t know HTML. Fully functional and works with Google Maps. 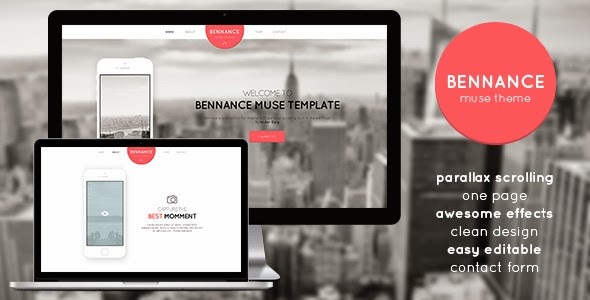 Item Reviewed: Bennance - Premium Muse Template 9 out of 10 based on 10 ratings. 9 user reviews.